dopl3r.com - Memes - Do you know? Bananas get black spots overnight because they organize illegal fights during the night. Do you know? 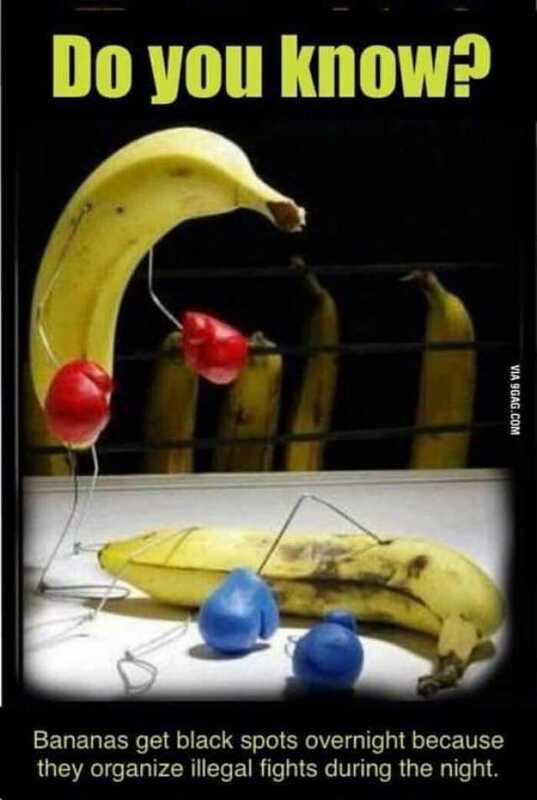 Bananas get black spots overnight because they organize illegal fights during the night.